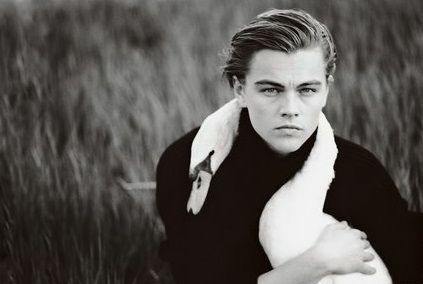 From Romeo Montague to Jack Dawson to Jay Gatsby, you must, at some point, had a celebrity crush on Leonardo DiCaprio. Straight or not, his highly successful career must have made you swoon over him at some point. Of course, that’s not the reason I’m featuring him today. If you have watched the Academy Awards a few days ago, you must have seen his glorious Oscar win, and his climate change speech. Most have regarded his speech highly, and though some commentators have criticized his ‘ignorance’ on the subject, that is not the point. Like many celebrities that have reached their peak, they try to enhance their public image by becoming philanthropists or humanitarians for a benevolent cause. But most, as you may know, are just putting on the show. Few actually step up and become active activists. Few actually understand the influence that their words and actions could do if they actually advocated for these causes, because few rarely do. But with the scrutiny of the critical media, I wouldn’t blame them. Leo’s professional career will always remain in the film industry, but he has taken some actions to prove his awareness of the currently most controversial, debatable and urgent issue: Climate change. In 2007, he released the documentary ‘The 11th Hour’, a film documenting the perils that the planet faces. In 2015, Leonardo DiCaprio executive produced another documentary, ‘Cowspiracy‘, which explored the effects of animal agriculture on the environment, and the actions taken upon it. Additionally, Leo has also stated that “Making ‘The Revenant’ was about man’s relationship to the natural world, the world that we collectively felt in 2015 as the hottest year in reported history“. Though I have yet to watch both films and see the truthfulness of Leo’s claims myself, I have rarely seen Hollywood actors actively using their careers to point out a specific phenomenon. Philanthropy-wise, Leo has also donated to his foundation, which aims to protect threatened ecosystems, to support UN negotiations, provide protection for the flora and fauna, and – of course – spread awareness of the situation. I do believe he genuinely is trying to raise the importance of creating and maintaining a more sustainable environment in this planet. Regardless of media criticisms on his ‘faulty’ speeches, I think that merely shaping his public image in such way is a generous act in itself. The power of his words and actions reverberates so much. I cannot emphasize this enough. When one has such power and control, it’s easy to veer off and use it for self-interest purposes, more financial gain, and even more power. Once someone has all the money and attention in the world, power is often the ultimate thing that will bring them the most satisfaction (ahem *Trump*). To read more about Leonardo’s DiCaprio actions on climate change, here’s an article by the Guardian. Oh, and check out his Instagram too 😉 (If you’re expecting to find hot headshots, you’ll be disappointed).